Moog has really outdone themselves with this ball joint, made to target the things that have been causing the problems with your vehicle. Hard Time Getting Your Ball Joint Out? 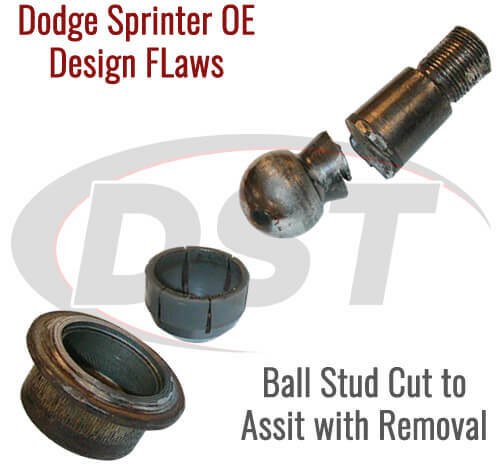 Whether you manage a fleet of Dodge Sprinters or you only have one for your business the DST parts experts know you've been having a little bit of trouble out of it lately. The problem is that the OE ball joint for your fleet vehicle just wasn't made for the high demands you require out of it. This is a problem for you because, whether you have one or one hundred, they all need to be working correctly. So how do you solve this problem you ask? 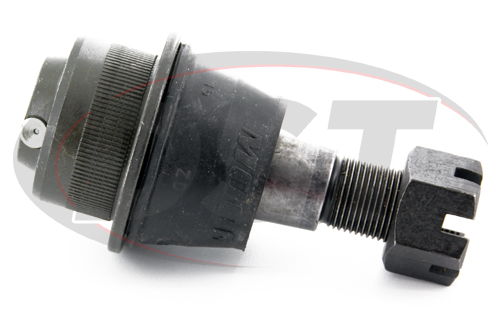 Well, look no further than Moog's ball joint K7455, made specifically for the high demands of your fleet vehicle. We all know that your fleet vehicle is big and carries heavy loads, as it needs to.  However, the OE design of the Sprinter didn't account for the high demands of this vehicle. First of all the OE ball joint isn't serviceable. 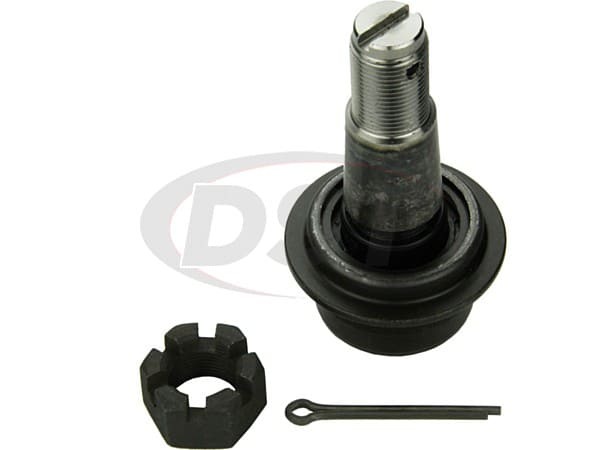 This doesn't give the OE ball joint the ability to flush out the harmful road contaminants that can lead to premature wear. 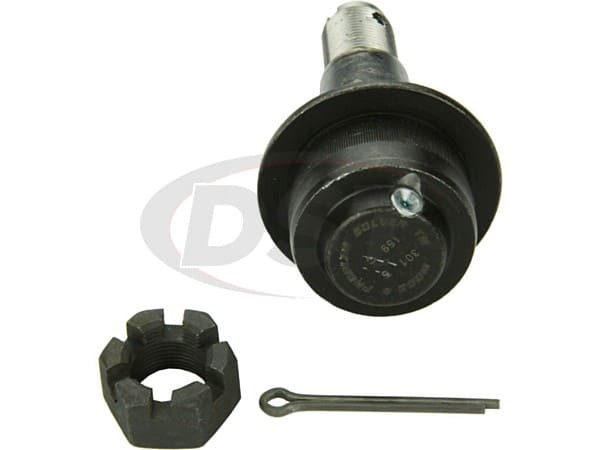 It also has a plastic bearing design with a 1.25" ball stud diameter. This is a very small stud diameter for a vehicle of this size and for the loads you expect it to carry. All of this leads to premature wear, which in turn leads to the problems you've been having. No matter if you took your Dodge to a mechanic or if you have an in-house mechanic, you have found out it's very difficult to get the stud out of the knuckle. So much so that the stud might have had to be cut off to get it out of the knuckle. It is because of the high amount of torque that has to be applied to the stud nut, a whopping 210 foot-pounds of torque. This pulls the stud with extreme force, locking the stud into the knuckle. Making it all but impossible to get out without having to cut the stud. 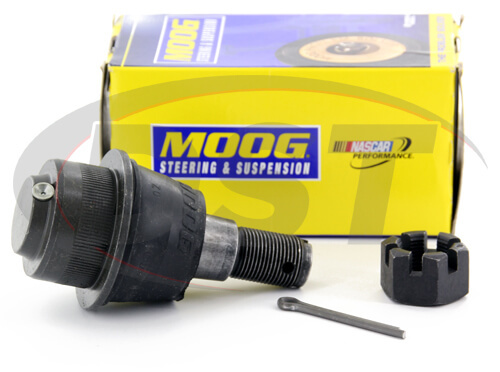 Moog has really outdone themselves with this ball joint, made to target the things that have been causing you problems with your vehicle. Moog's K7455 is such a ball joint. Typically Moog will oversize the ball stud for vehicles like the Sprinter, but the ball joint housing's outside diameter is too small. This limits the size Moog can make the ball stud. So in order to gain the additional strength that Moog expects out of their parts, they heat treated the ball stud. Moog has also added a powdered-metal gusher bearing that will not deform under the heavy loads of your fleet vehicle, as the OE joint would. The dust boot on K7455 is made with polychloroprene. This boot has a built-in grease-relief valve, providing a sealed, serviceable part that flushes out the harmful road contaminates which leads to premature wear. The only thing you'll need to service Moog's K7455 is a "needle adapter" for your grease gun since Moog uses a low profile "pin" style grease fitting. Moog's problem solver lives up to their title. They have not only solved all the problems the OE design had, but they have also made it better in every way. 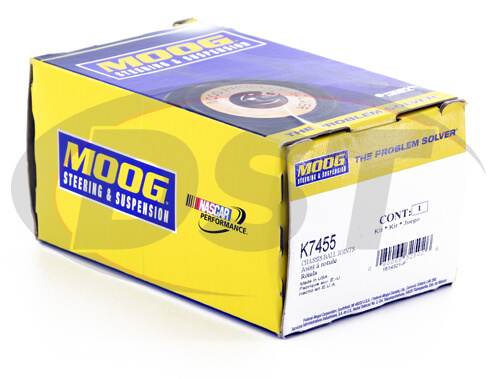 The experts at DST feel the confidence Moog has in their parts when they add a lifetime warranty to K7455, and we're sure you will too.